Batman vs. Superman will lay the foundation for the Justice League. Just as its title suggests, Batman will be introduced into the DC Cinematic Universe that Zack Snyder has created. Tiny Easter Eggs were laid throughout the Man of Steel, but could we expect to see a female superhero like Wonder Woman in Batman vs. Superman? One Warner Bros. executive suggests that she won’t appear. After all the troubles of getting a Wonder Woman film off the ground – we all remember how DC treated Joss Whedon’s treatment of the heroine – what could be the problem? Surely it’s not the solo Catwoman movie or Elektra? 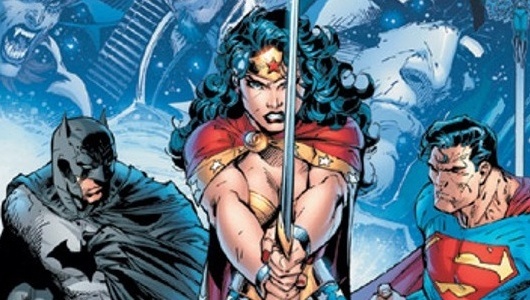 But a film like Batman vs. Superman would be a great proving ground for getting a solo female superhero movie into production, so why not just do something as simple as introduce Wonder Woman into the film? Hit the jump to find out. We have been doing a lot of thinking for years about how to best use all those characters and we love them. Wonder Woman is an amazing character. I think it’s a great opportunity both for box office success, but also to have an amazingly powerful female superhero. So he left the door open for a solo Wonder Woman film, so the reporter then followed up the question with when could we see that happening? We are taking it all very seriously and are trying to do a plan that’s respectful to those characters and maximizes the stories as best they can. So everything that has been speculated are things that we’ve thought about. That seems like a pretty generic answer and one that you would typically hear when questions like these come up. But one can’t help but feel a little disappointed to hear that not only would Wonder Woman unlikely appear in Man of Steel, but that they are still working on crafting the story. Marvel had no problem introducing Black Widow (Scarlett Johansson) in Iron Man 2. Granted it is easily the weakest film in the entire MCU, but she had a stronger presence in The Avengers. Also Agent Maria Hill (Cobie Smulders) was introduced in The Avengers, and she along with Black Widow will appear in Captain America: The Winter Soldier. It’s still too early too tell if everything is set in stone. Early pre-production filming started last weekend in LA, so there is a chance that the script could be edited or modified to simply introduce Wonder Woman. Whatever the case may be, we will keep you posted. The Geeks of Doom Podcast Network! Geeks of Doom is proudly powered by WordPress.